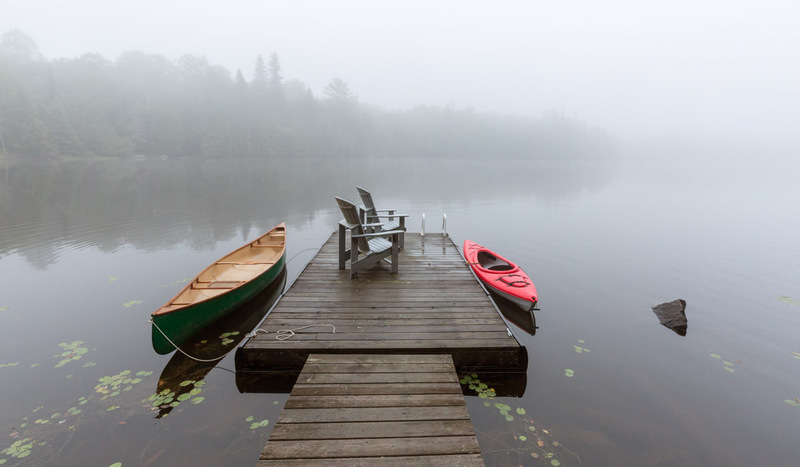 A misty morning on a lake in Ontario, Canada. Tsar Osvoboditel Boulevard, Bulgaria, Sofia. Clear water bay of Loutro town on Crete island, Greece. 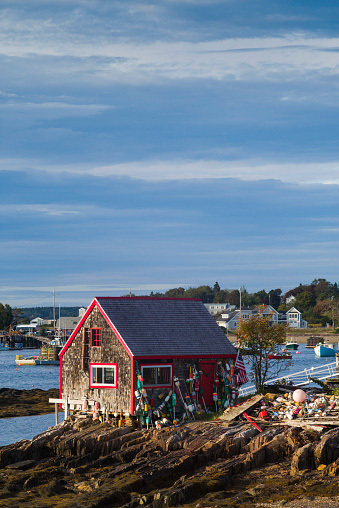 Old lobster shack, Orrs Island, Maine, USA. 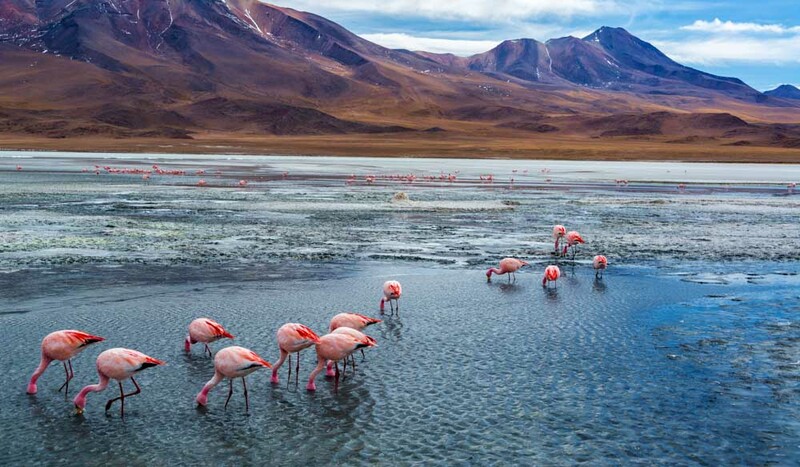 Pink flamingoes in Lake Hedionda in the high plains of Bolivia. 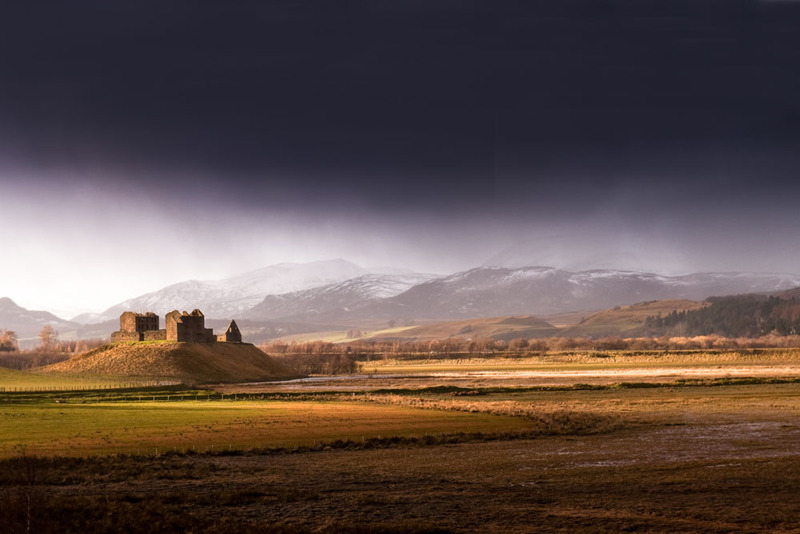 Storm brewing over Strathspey in the Cairngorm Mountains of the Scottish Highlands. 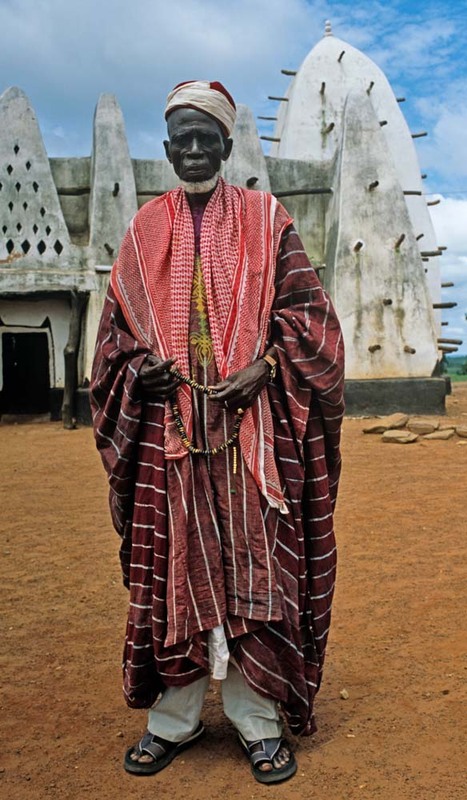 The Imam stands outside the thirteenth century mosque in Larabanga, Northern Region, Ghana. 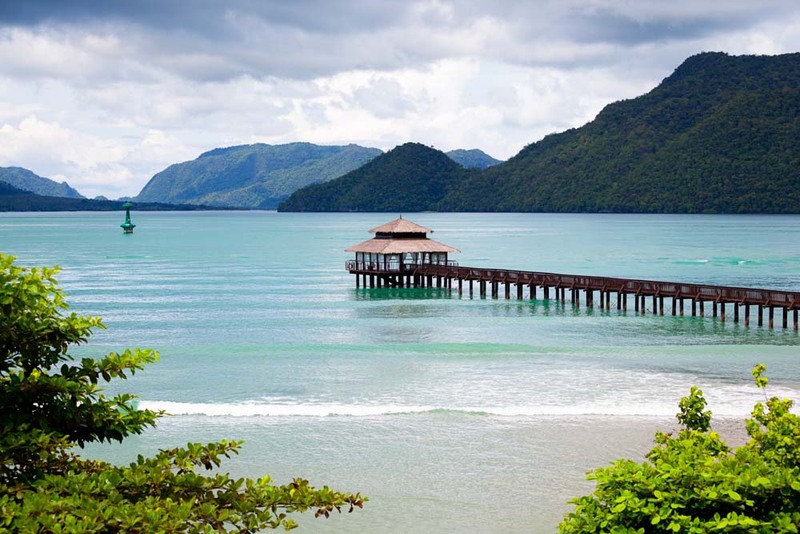 A beautiful cabana on the water, Langkawi, Malaysia. 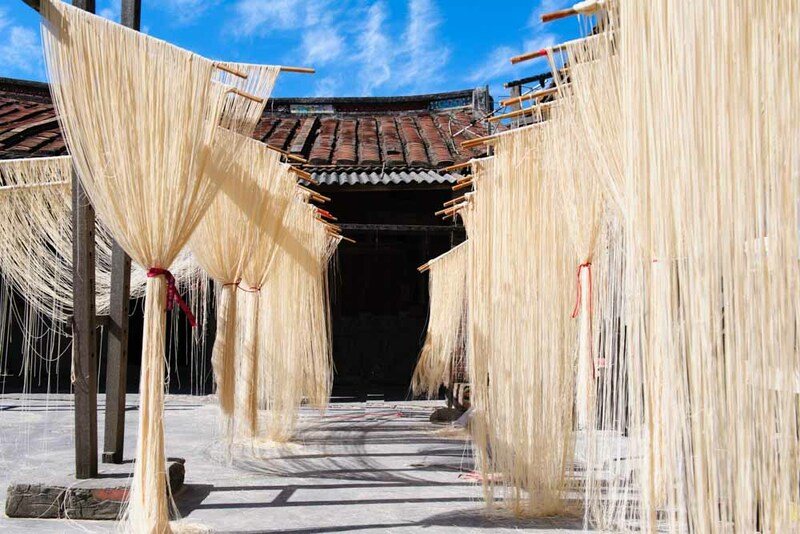 Traditional method to dry thin noodles in Taiwan. 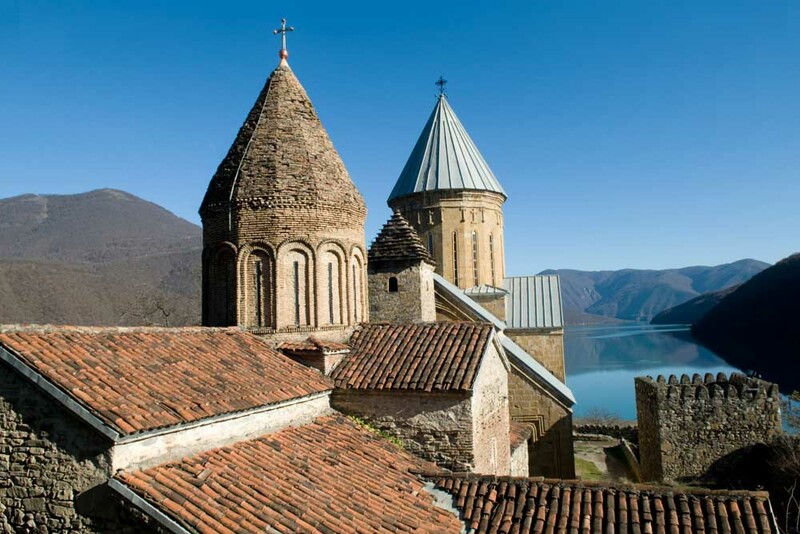 Ananuri castle complex on the Aragvi River in Georgia. Here are 2018’s ten hottest travel destinations. Bordered by Greece, Romania, Turkey, Macedonia and Serbia, as well as a whopping stretch of Black Sea coast, the Balkan nation of Bulgaria is the ultimate triple threat, with sun-drenched beaches, dramatic mountain scenery and pretty cities like the capital Sofia, which is slowly rising above its former Soviet-era drabness. Point in fact: ‘thank you’ cards. The government of Bulgaria is so chuffed when travellers choose to spend time here that it has started sending out ‘thank you’ cards to visitors when they arrive home to show its appreciation. The islands of Greece have got a solid lock on picture postcard. But the weight of adoration can hang heavy – just ask the inhabitants of Mykonos. 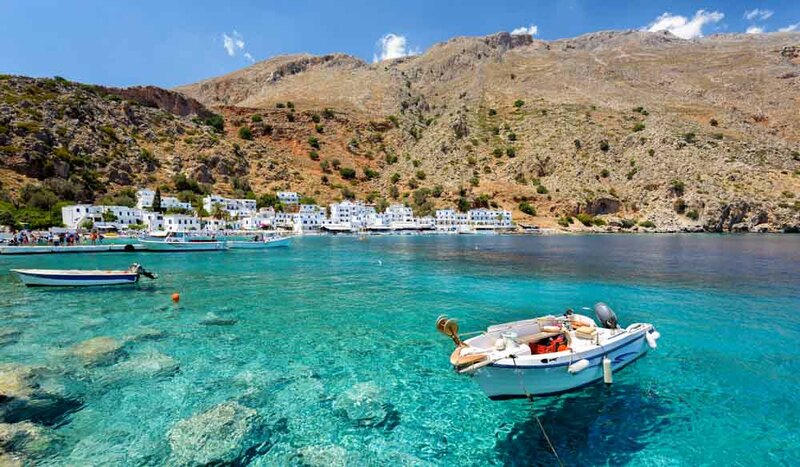 Crete, the largest of the Greek Islands, has managed to stay blissfully unaffected by the throng of holidaymakers who flock to the sun and sand during the summer months. Its rugged, heat-scorched landscape, impossibly blue Mediterranean waters and stoic locals have made very few concessions to chasing the tourist dollar, which is exactly why you need to visit. Set out on a driving tour of the island and you will be rewarded with jaw-dropping vistas, secret beaches and tightly clustered white-washed villages where life moves at an unhurried pace and the traditions of the past hold as much relevance today as they did thousands of years ago (Crete was home to the first advanced society in Europe, the Minoans). With the USA polarised along party lines, and the bad news stories threatening to outstrip the good, finding somewhere to forget the angst and anger in the 50 states is a challenge right now. But New England might just be the solution. Comprising the states of New Hampshire, Maine, Rhode Island, Vermont, Connecticut and Massachusetts, the whole region is just so impossibly quaint, with its pretty shingled houses, wide golden beaches and picturesque harbours replete with bobbing fishing boats and a salty sea dog or two (although they present as professional fishermen these days). Once on the ground there is mounds of history to be discovered – the Pilgrims’ arrival, the Boston Tea Party, the Salem witch hunts all happened here – loads of seafood to be consumed (lobster rolls with lashings of mayonnaise, and thick clam chowder are culinary institutions in these parts) and, with the midterm elections taking place in November, an all-blue wardrobe to plan. If dramatic scenery is your thing then Bolivia should be a first choice destination. While La Paz, the dizzying (literally; altitude sickness is an issue here given its position 3640 metres above sea level), tightly packed and often confounding city, and the perilous North Yungas Road, the ‘deadliest road in the world’ running from La Paz to Coroico, capture the imagination of adrenaline junkies, Bolivia’s real soul exists in its wide open spaces. Places like the desolately beautiful Salar de Uyuni, the world’s largest salt flat, located in the Bolivian Altiplano and measuring 10,582 square kilometres, or the Isla del Sol, inhabited by pre-Columbian ruins and indigenous communities, that floats majestically in the famed Lake Titicaca. And trekking in the dramatic Cordillera Real, with peaks soaring over 6000 metres, will definitely take your breath away. There is so much going on in Scotland this year that it is hard to know what to get the most excited about: perhaps the Royal Yacht Britannia floating hotel that will be located on Edinburgh’s waterfront; or the major exhibition of the works of Charles Rennie Mackintosh in Glasgow to coincide with the 150th anniversary of the celebrated architect and designer’s birth; maybe the opening of a swag of new hotels sympathetically retro-fitted into some of the multitude of glorious listed buildings and grand houses scattered across the country? For our money, it’s the opening of the V&A Museum of Design, Dundee. The first V&A to be located outside of London, architect Kengo Kuma’s building, clad in dramatic stepped concrete panels, is part of a $1.75 billion rehabilitation of the Dundee waterfront, which in the past has erred on the side of dour. With its compelling mix of lush hinterlands, underutilised beaches, vibrant cities, and a history dominated by the ghosts of the slave trade that once thrived here, Ghana is a destination of many layers. Gaining traction as a cornerstone of touring itineraries to Africa’s evocative west (along with neighbours Togo and Benin, with their living, breathing voodoo traditions), there is much to divert, from Cape Coast’s hulking whitewashed castle, a former slave-holding site dating back to the time when the trafficking of humans was tragically the country’s primary industry, to the bewitching ancient mosques in the north of the country (like the one pictured). But possibly the biggest drawcard is its people: welcoming, generous and ready to share their fascinating homeland. The Malaysian archipelago of Langkawi, which comprises 99 islands and islets in the Andaman Sea, has earned a dubious reputation as a shopping mecca, thanks to its duty free status. But there is a lot more to recommend it than discount Grey Goose. The island has a lush interior and lots of quiet kampongs (villages) in which to experience a gentler pace of life. Then again, you might just want to head straight for The Datai Langkawi, the big news story in the coming year. Long considered one of the best resorts in Asia, it has undergone a massive overhaul of its rooms, suites and villas, as well as adding extra spa facilities and a nature centre to enhance its 750 hectares of tropical rainforest ‘backyard’. While there are some who might consider taiwan to be ‘china lite’, that would be denying the unique personality that the island nation, some 180 kilometres off the coast of china, possesses. the country was divided between its aboriginal people and dutch and Chinese settlers before being formally annexed by china’s qing dynasty in 1683. today, the government recognises 16 indigenous tribes, and you can witness their traditions by visiting villages across the country. Contrast this against the influence that the Chinese brought with them, including the pursuit of frenetic, neon-lit cities (as seen in the capital, Taipei), and this country of 23.55 million is heavy on allure. There is no more particular Canadian holiday pursuit than heading to ‘cottage country’ to while away the summer months overlooking a lake and surrounded by nature. Ontario’s Muskoka Lakes area is ground zero of cottage holidays, and even the most cursory search of Airbnb properties in the locale will help you get a better appreciation of ‘cottage’ being a relative term: the houses for rent here are glorious, shingled piles with designer inclusions, their own lakeside decks and a pair of obligatory Muskoka chairs (Adirondacks to everyone else) perched just so. The buzz has been building around Georgia for some time, with the former Soviet Republic champing at the bit to show off its expansive vistas of soaring mountains and deep valleys, dotted with ancient churches and tiny villages, and the diverse streetscape of its capital Tbilisi, a schizophrenic soup of medieval buildings in its Old Town, and startling modern architecture that can best be described as space age. There has been a marked increase in tourist numbers and tour options to the nation of 3.71 million people in the last few years, with perhaps the cutest being the Georgia Bird-Watching tour taking place from 1–6 May. 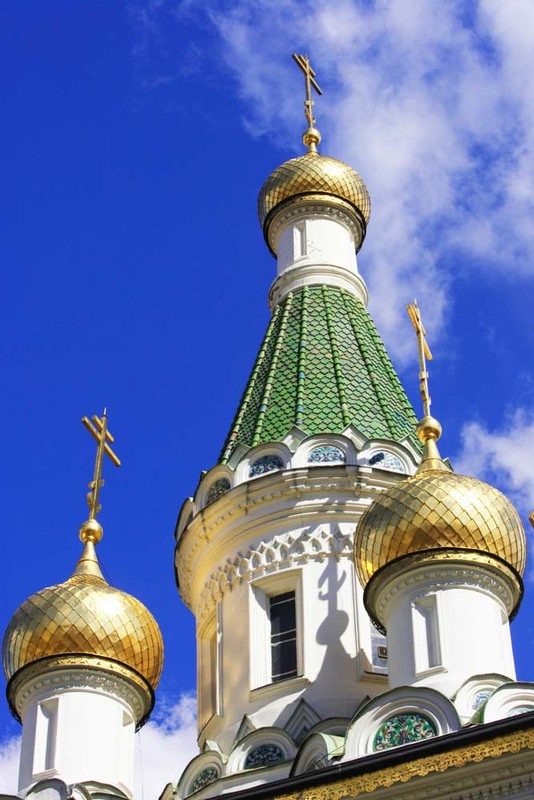 Nothing says next-big-thing like a niche itinerary after all.